In this still-dawning age of the Internet of Things, there's a lot of demand for those who can bridge the gap between the internet and the things. 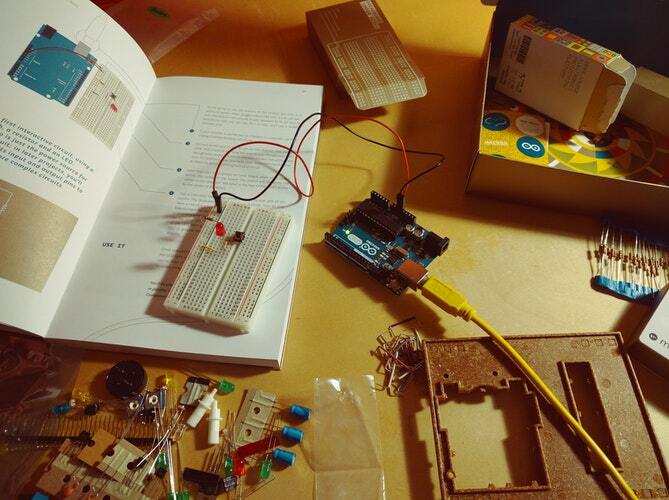 For aspiring makers, there's one platform that's tailor-made for that task: Arduino. Find out for yourself with The Complete Arduino Starter Kit & Course Bundle. The bundle gets hands-on right away, supplying you with an Uno R3 microcontroller and a mad scientist's lab worth of sensors, wires, and circuits. The course teaches you to put that tech to work within the very first of six workshops, giving you all the programming know-how you need to create a motion sensor and LEDs. Successive workshops will dive deeper into Arduino's toolbox, allowing you to build RC cars, games, weather stations and even a light-chasing robot - all fully capable of being controlled and monitored through the web. All in all, it's 30 hours of content, projects, and lectures that you can explore at your own pace, plus a complete Arduino microcontroller board. Get creating with The Complete Arduino Starter Kit & Course Bundle for $89.99 today.